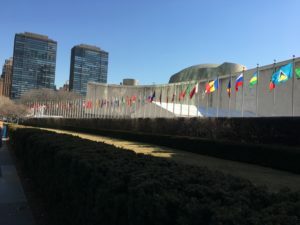 This year, as CFHI’s Programs and Outreach Assistant, I had the privilege of attending the UN’s Commission on the Status of Women, or CSW, and was able to engage in high-level discussions with a variety of stakeholders, form connections with like-minded organizations and learn about the work being done to combat gender discrimination around the world. The CSW is the principal global intergovernmental body exclusively dedicated to the promotion of gender equality and the empowerment of women. Each year, the commission is made up of representatives of UN Member States, UN entities, and ECOSOC-accredited non-governmental organizations (NGOs) from all regions of the world who spend the conference engaging in discussions on the topic of gender inclusivity and female empowerment around the world. 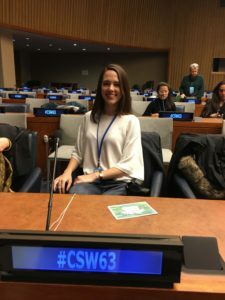 As one of a limited number of non-profit organizations that holds special consultative status with the Economic and Social Council (ECOSOC) of the United Nations, CFHI was invited to participate in CSW63. The conference ran from March 11 – 22 and focused on a theme of social protection systems, access to public services and sustainable infrastructure for gender equality and the empowerment of women and girls. After receiving formal approval through the UN for my participation, traveling to New York, and waiting in line with hundreds of people in order to receive a temporary UN grounds pass, I had arrived at CSW63 excited to see what the week would bring. As I oriented myself to the space, I was heartened to see so many different people representing NGOs and communities around the world, and was honored to be a part of it. After the initial intimidation factor of being at the United Nations wore off – being surrounded by world leaders in such an iconic and important building can feel daunting at times – I was comforted by the welcoming and inspirational energy of high-level delegates and UN officials. At one session I attended, the Executive Director of UN Women Phumzile Mlambo-Ngcuka moderated the discussion. Before starting, Dr. Mlambo-Ngcuka encouraged all participants to share songs of revolution from our homes. The chamber broke into song, first with a few participants taking turns to sing songs that were important to their culture, then all participants coming together to sign “We Shall Overcome”. This simple request immediately broke the ice and allowed us all to share the space and our stories in a meaningful way. A highlight of the commission was a session titled “Take the Hot Seat”: A High level Intergenerational Dialogue”, in which more than 500 youth advocates from around the world pushed boundaries, asking governments to make a commitment to make social protection systems, access to public services and sustainable infrastructure deliver for young people. This session further opened my eyes to the work that young people around the world are doing to fight against gender discrimination and reminded me of the importance of youth voices in social justice work. I felt encouraged, too, by the support that policy makers and UN officials sitting in the “Hot Seat” gave to those asking questions and sharing their stories. Another highlight was the opportunity to connect with representatives from organizations like the Malala Fund and the Young Women’s International League for Peace and Freedom. After speaking with people from these organizations as well as UN delegates, I was excited to see that CFHI’s mission and work are well aligned with the social justice work being done at the grassroots level around the world and with the United Nations. CFHI’s model to set and uphold ethical standards in international engagement directly aligns with the United Nation’s mission to promote sustainable development and protect human rights. CFHI’s work continues to sit at the forefront of global health engagement, and I couldn’t be more honored to represent it in this space. 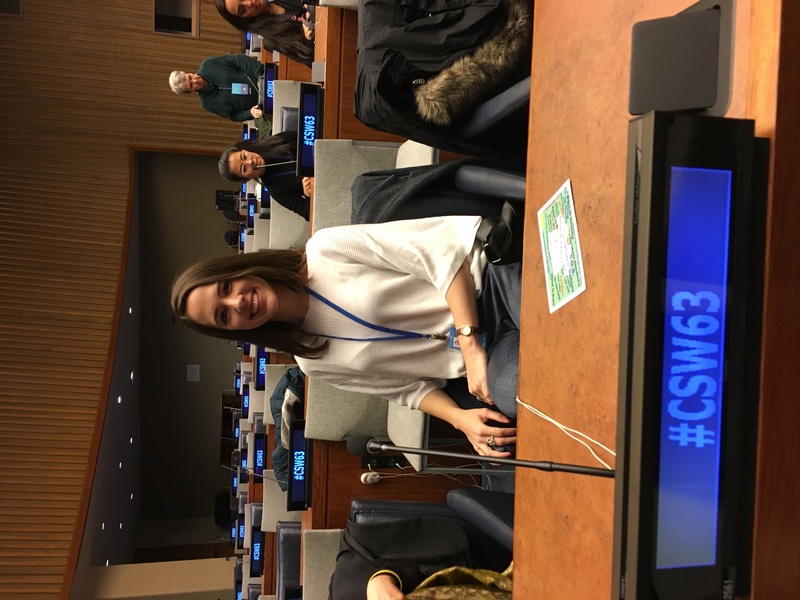 Representing CFHI at CSW63 was an amazing experience, where I learned so much about international engagement, sustainable development and gender inclusivity from people who are doing similar work to CFHI around the world. 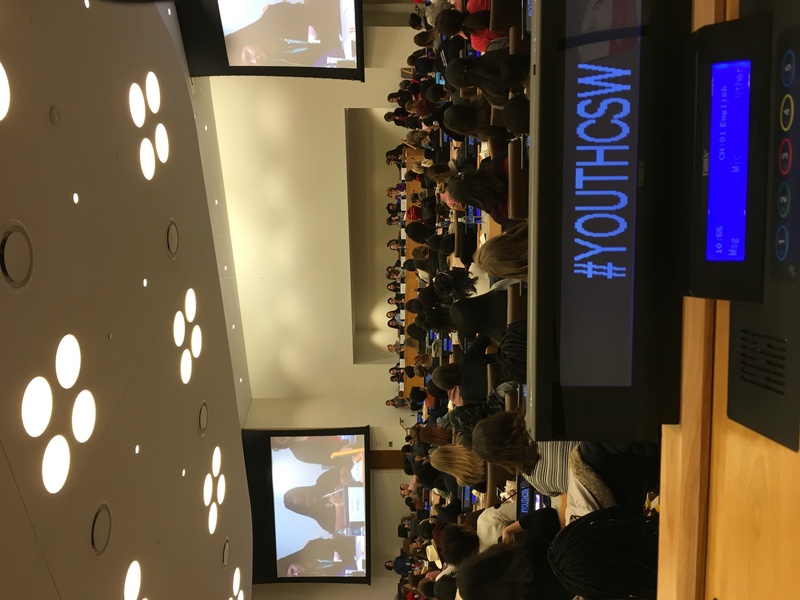 Learn more about the the outcomes of CSW63 here and about CFHI’s partnership with the United Nations here. 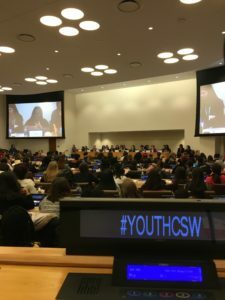 This entry was posted in Global Health, Global Health Education and tagged CFHI United Nations, Commission on the Status of Women, CSW63, International Engagement, UN ECOSOC, United Nations on April 10, 2019 by Robin Young.